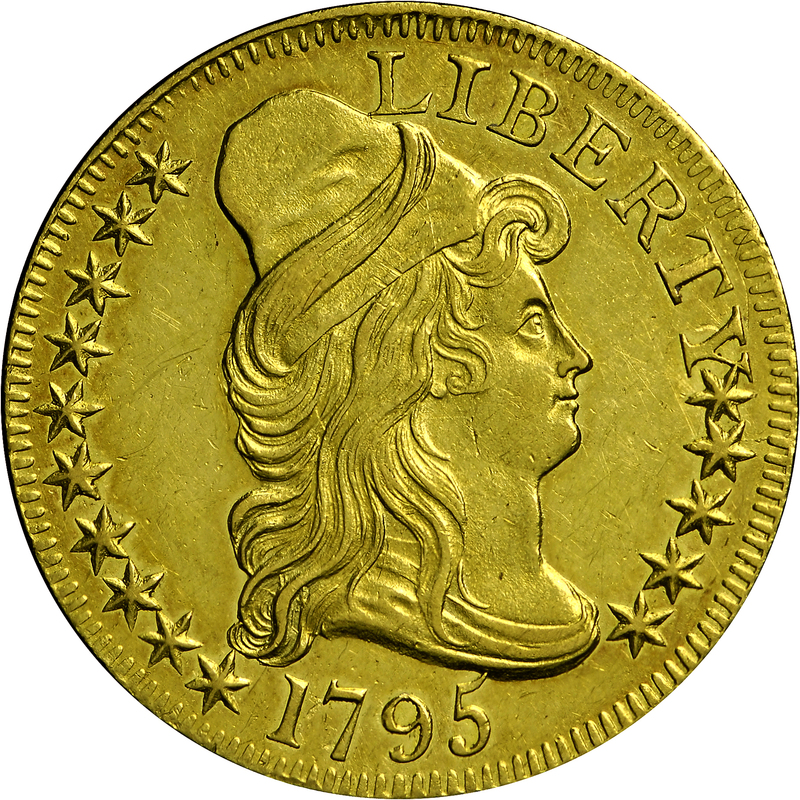 Robert Scot was responsible for engraving the dies for these early gold coins. Scot was born in Edinburgh, Scotland in October 1745 and arrived in Philadelphia in 1782. 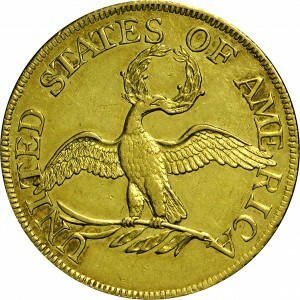 He was appointed chief engraver for the Mint late in 1793 and retained this post until his death 30 years later. 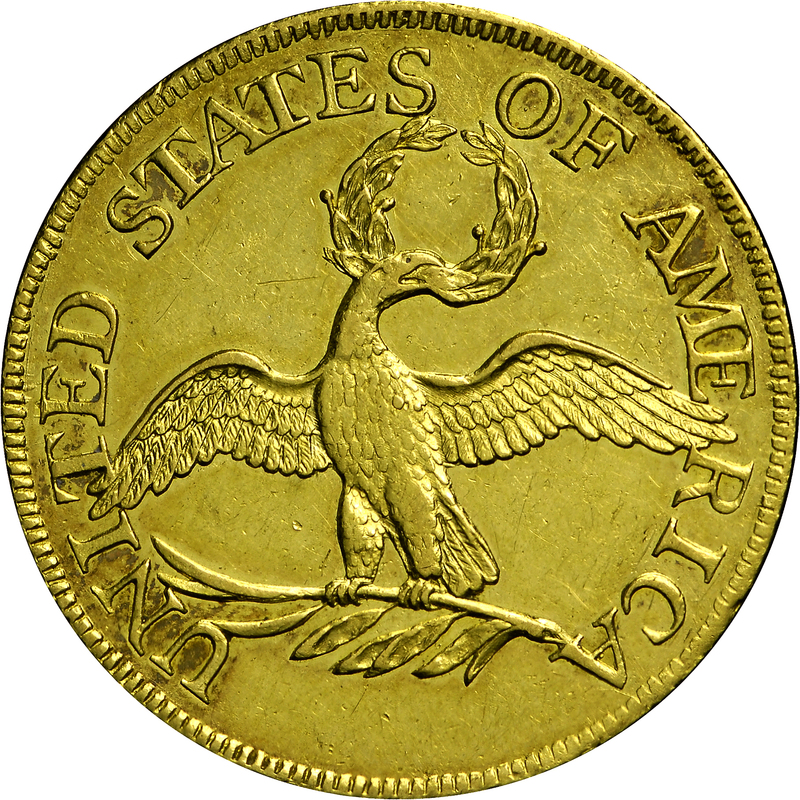 During much of this time, Scot prepared nearly all coinage dies except for the period from 1807 to 1817 when John Reich was a member of the engraving department. From RARCOA's sale of June 1973, Lot 163. 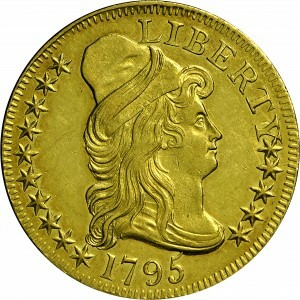 "Obverse: LIBERTY repunched. Date numerals apart, evenly spaced. Top point of 5 overlies drapery. Crack at star 12. Clashed. Reverse: 4 berries, 2 on each outside. (E)S low."